When you’re in need of a morning kick that not even coffee can provide, SHE’s got it. When you’re in need of a natural mood lift, SHE’s got it. When you’re in need of an enjoyable, social and physical activity, SHE’s got it. 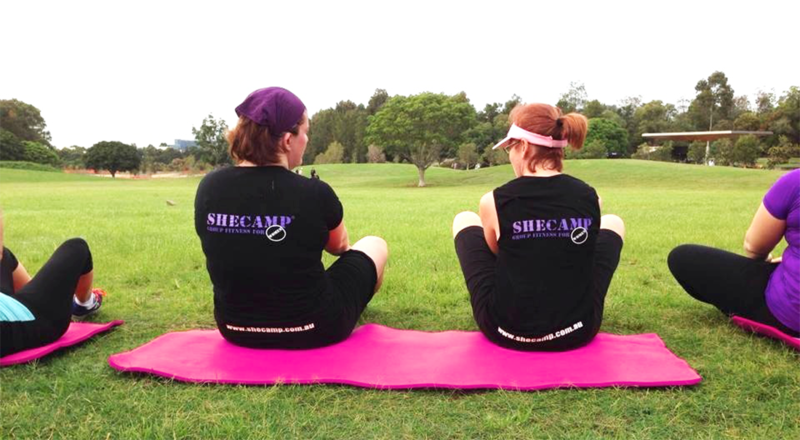 In a busy, bustling life packed with responsibilities and deadlines, SheCamp is an outlet just for you – an all-inclusive outdoor group exercise program run and designed by women. We take fitness with a side of fun, providing a safe, supportive environment for you to workout your body and mind, improving your quality of life. Catering to every level of fitness, we encourage all women to move at their own pace – slow, fast or steady – and to strive for their own personal goals.